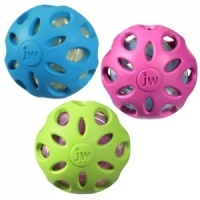 We all know who makes work for idle paws, so keep your dog busy and happy with the Hol-ee Treat Ball. 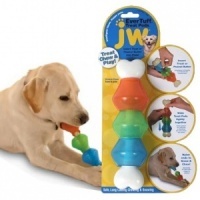 It’s a toy and puzzling treat dispenser that your dog will love. 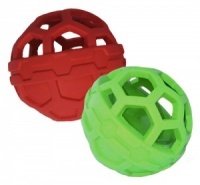 The honeycomb outer cage is made from flexible and quiet (yay) natural rubber. 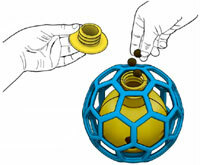 The compartment inside the rubber ball holds and dispenses the treats. 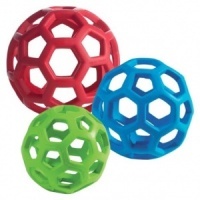 Just like us, dogs enjoy a challenge and this boredom busting interactive treat toy is great fun and even suitable for beginners. 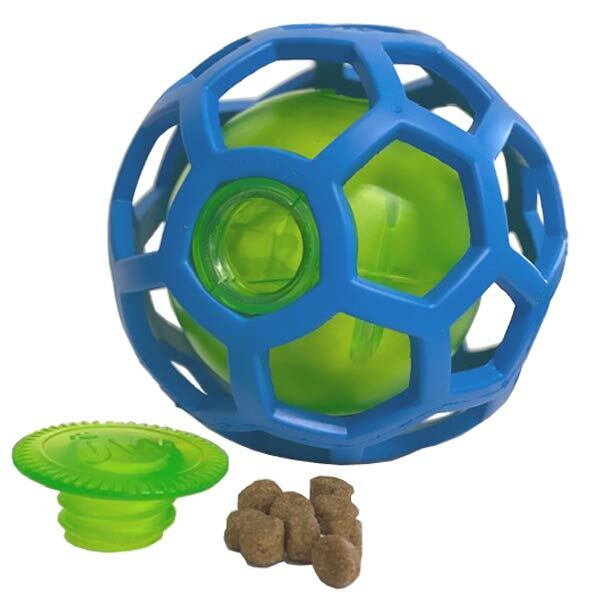 Simply pop some kibble or dry treats inside and as your dog rolls and pushes Hol-ee Treat Ball along the treats come out as if by magic. 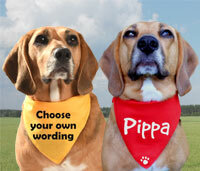 The random reinforcement keeps your dog playing and playing. 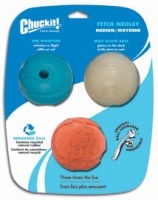 Interactive treat toys stimulate the mind and the palette and can engage and entertain your dog for long periods of time. 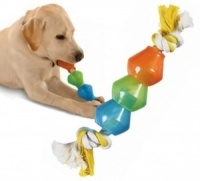 A bored dog will make their own entertainment so use these innovative toys to introduce exciting new games that will channel and develop their skills. Not intended as a chew toy. Always supervise play. The treats fall out a bit too easily, and its quite a noisy toy! but my dog seems to like it!